Andreu Fontas is a 10-year professional with more than 200 appearances in his native Spain. One defender joined Sporting Kansas City and another left Wednesday. 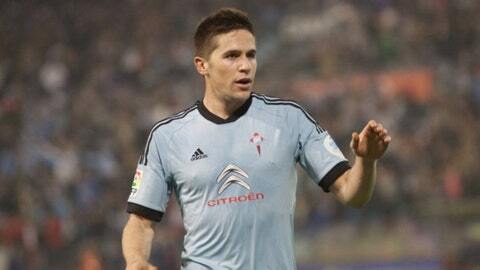 The club announced that it has signed Andreu Fontas, a 28-year-old center back. Additionally, Sporting KC has mutually agreed to part ways with defender Emiliano Amor, who started three of five MLS appearances this season while on loan from Argentine club Velez Sarsfield. Fontas is a 10-year professional with more than 200 appearances in his native Spain. He signed an MLS contract through 2022 and will occupy an international spot on the Sporting KC roster. The club used targeted allocation money to sign Fontas. Fontas has spent each of the last five seasons with Celta Vigo in Spain’s top-flight La Liga, where he started 100 of 105 league matches. Over the years he has played or trained with two current Sporting KC players, midfielders Ilie Sanchez and Cristian Lobato.